You are a high school student if you are currently studying in Year 12 and are completing the Higher School Certificate (HSC) this year. See Non-school leavers if you have completed the HSC in previous years. We provide early offers to motivated and talented year 12 students who have the ability to succeed at uni but for some reason may fall short of the marks for entry. Selection is based on a range of criteria including a minimum ATAR. The scheme is available for a range of UON degrees. More information, including selection criteria and application instructions are available on the UAC SRS Page. At UON you are more than just a Selection Rank (SR). We know your results in your final year subjects are also indicators that you are going to thrive at university. Under this early offer program we match your performance in your Year 12 subjects with related UON degrees. 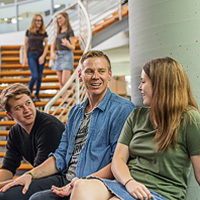 Find out more about the Year 12 Subject Spotlight Early Offer Program. HSC students who go to regional schools in selected postcodes are awarded up to an additional five adjustment points. You don't need to apply for this bonus – apply for your preferred degrees through UAC and the points are automatically added to your rank. See which postcodes attract adjustment points. Our HSC adjustment scheme rewards high achieving Year 12 students. Depending on the degree you choose, you may be awarded up to four adjustment points for your HSC results in particular subjects. For example, if you achieve a Band 5 in Mathematics and are applying for an engineering degree, you will be awarded two adjustment points as maths is an important component of this degree. Find out which HSC subjects and band levels are attracting adjustment points (PDF, 160 KB). 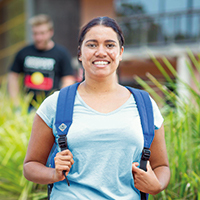 If you are an Aboriginal and Torres Strait Islander applicant, you can get help to gain entry into our degrees. All you need to do is indicate that you are of Aboriginal or Torres Strait Islander descent in your application. You will then be invited to attend an interview at one of our campuses. Find out more by contacting the The Wollotuka Institute on (02) 4921 6863. With our Educational Access Scheme (EAS) you can get up to four additional adjustment points (previously called bonus points) if you have experienced educational or other disadvantage. To apply for the EAS, you must complete the application form contained in the EAS booklet produced by UAC or download the form from UAC. EAS applications for offers in December Round 2 close on 30 November, 2018. Applications for offers in January Round 1 close on 1 January, 2019. EAS does not apply to the Medical Science and Doctor of Medicine program. For more information phone our Enquiry Centre on 1300 ASK UON. 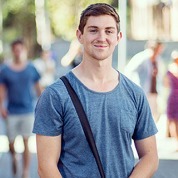 We understand that many of our successful students come to us after completing TAFE studies. That’s why we’re offering TAFE Guaranteed Entry into a number of our undergraduate programs for anyone who has completed a Certificate IV, Diploma, or Advanced Diploma. Applying is easy. Lodge your usual application through UAC, list one of our TAFE guaranteed programs as your first preference and we will do the rest. Find out more and learn which degrees are eligible for TAFE Guaranteed Entry. As a member of the Elite Athlete Friendly University (EAFU) program we support elite athletes to get into university. Once you start at UON, we also provide a range of support services to help balance the demands of study with your sporting career. To find out more and apply see the NUsport website. The University of Newcastle Law School (NLS) is offering Indigenous students the opportunity to gain early entry to our Law degree. Imagine having a guaranteed place in a Law program at University before beginning your final HSC exams. Find out more about the Indigenous Law Early Offer Program. You are a non-school leaver if you have not completed your HSC in the last 12 months. See High school students if you are currently completing your HSC. With our Educational Access Scheme (EAS) you can get up to four additional bonus points if you have experienced educational or other disadvantage. To apply for the EAS, you must complete the application form contained in the EAS booklet produced by UAC or download the form from UAC. EAS applications for offers in December Round 2 close on 30 November, 2018. Applications for offers in January Round 1 close on 1 January, 2019. As a member of the Elite Athlete Friendly University (EAFU) program we support elite athletes to get into university with early offers. Once you start at UON, we also provide a range of support services to help balance the demands of study with your sporting career.